It is 2016, and Samantha Harrison is running for president of the United States against Hillary Clinton. In flashbacks, we follow this ambitious woman’s journey from her high school graduation to the days that follow the presidential election. As she struggles to stick to her convictions, she can’t help but notice that her professional drive has a deep impact on her family. Will she succeed in her quest to become the head of government? What price is Sam willing to pay for her ambitions? 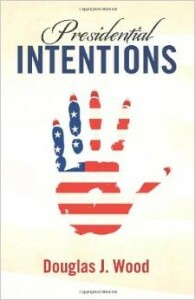 Presidential Intentions is Douglas J. Wood’s debut novel. When I started to read the book, I wasn’t sure I would like it because I’m not really into politics, but I did really enjoy it even if I don’t share most of Sam’s political views. 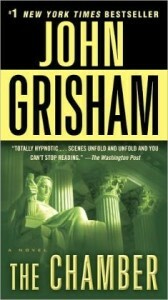 In fact, the novel reminded me of the current season of “The Good Wife”, one of my favorite TV series. The idea of two women running for president in the United States really appealed to me. 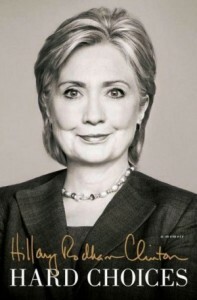 Moreover, the novel is an astute commentary on what it really means to be a woman and a politician, the drawbacks seemingly outweighing the advantages. The originality of the book also stems from the fact that each chapter starts with a quote from one of Sam’s speeches or letters. It is a great way to learn Sam’s views on political issues. In addition, I thought that the book cover was beautiful in its simplicity and fitted the novel perfectly. My only negative comment is that I thought that the episode about Sam’s son in Iran, while suspenseful, seemed out of place in the narrative. However, I am not surprised that Douglas J. Wood was awarded the bronze medal in the 2014 Global Ebook Awards. He really deserved it. 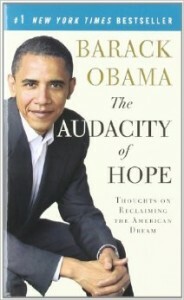 In an interview on the internet, he hinted that there might be a sequel to this book. If that’s the case, I would really be interested in reading it. 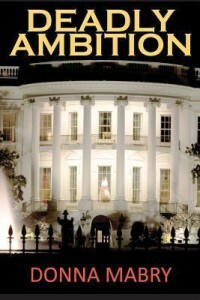 Presidential Intentions was sent to me for free in exchange for an honest review. Douglas J. Wood has written 5 non-fiction books, including 3 books on fatherly advice to his 3 children. He has been a lawyer for 35 years and is an expert on advertising law. His favourite authors are Tom Clancy, John Grisham, Robert Ludlum, William Manchester and Michael Crichton. Douglas J. Wood has 2 blogs: Party of We and AdLaw by Request. About the author and his work: Douglas J. Wood’s Website.